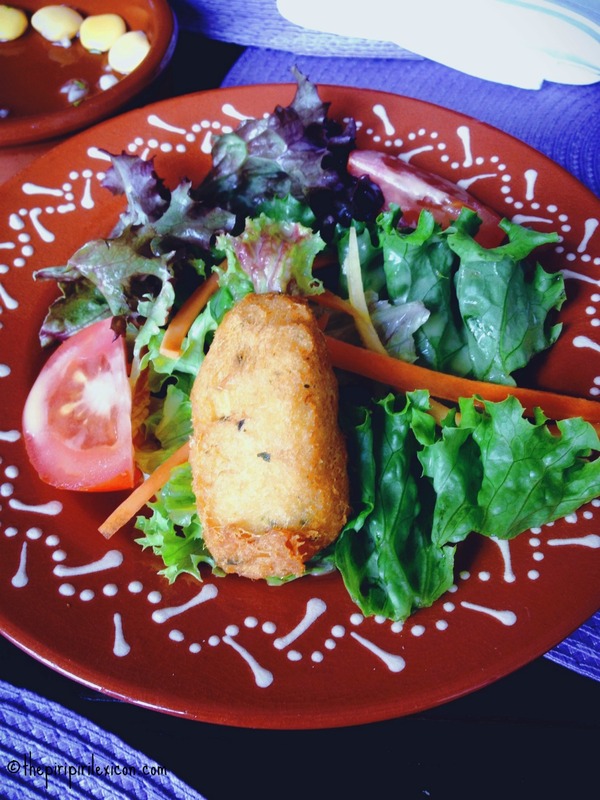 It is a pastel de bacalhau. A portuguese cod cake (similar to a fish cake). But oh so yummy!